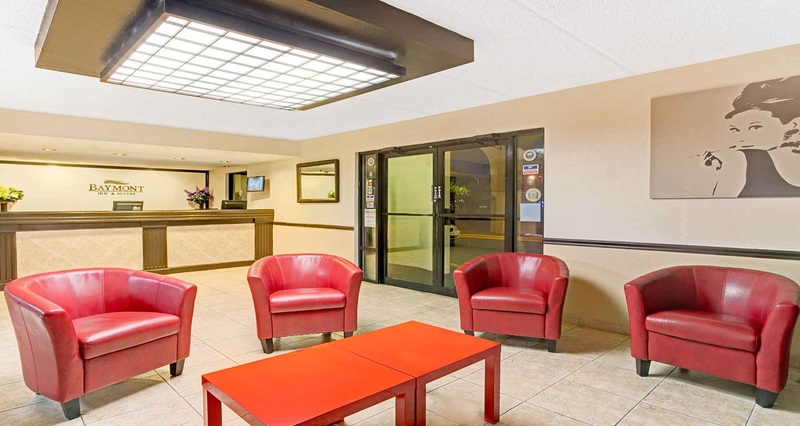 As part of the Wyndham family of properties, Baymont Inn is a family friendly hotel offering great value and service with spacious rooms and a host of desirable amenities. 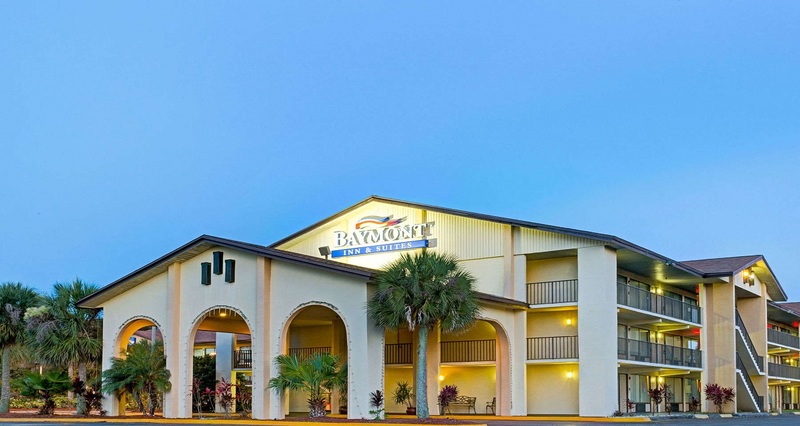 Conveniently located just 12 miles from the Orlando International Airport. 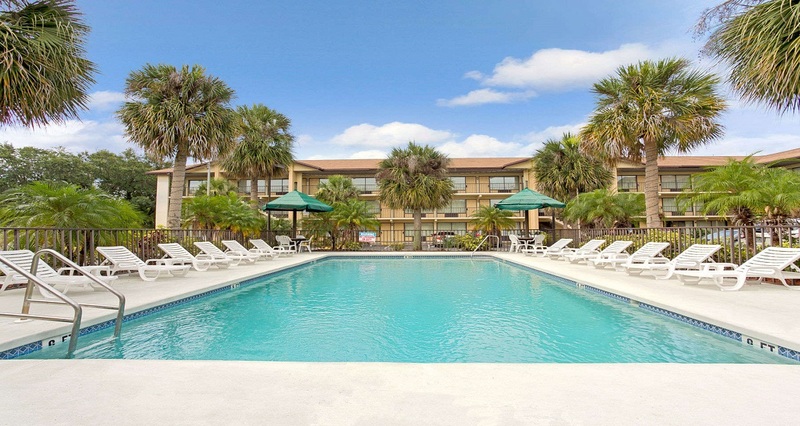 The property provides easy access to Kissimmee area activities, shopping, and restaurants, plus the major attractions and theme parks of the Orlando area. 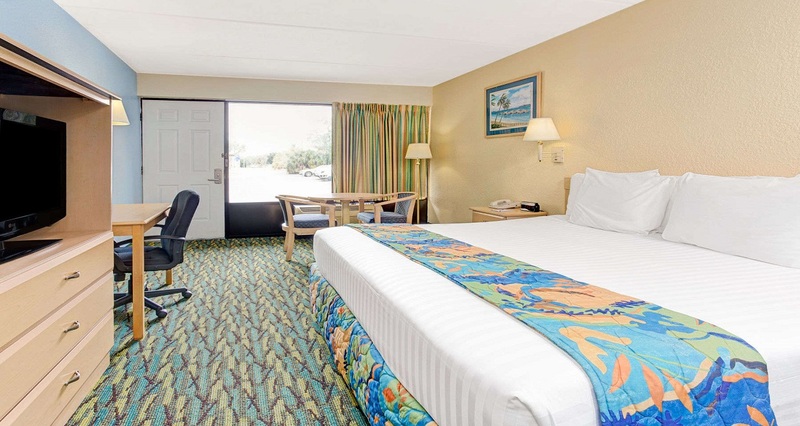 Settle into clean and comfortable rooms with a variety of room options including oversized rooms and rooms with kitchenettes available for families. 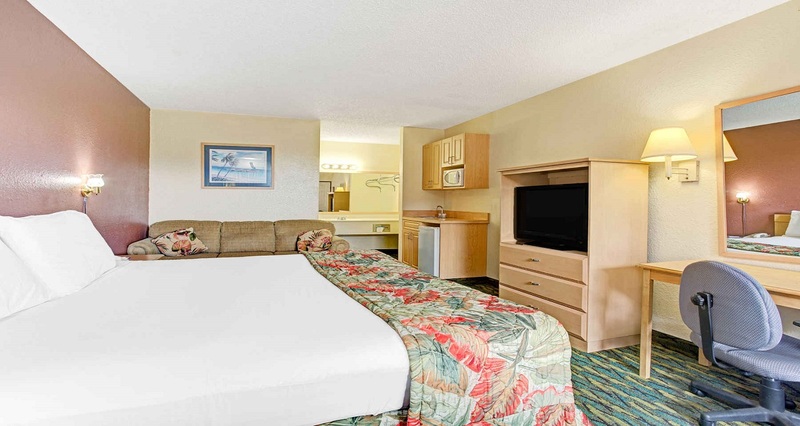 Room amenities include a flat screen TV, microwave, mini-refrigerator, coffee/tea maker, desk and chair, free Wi-Fi, hair dryer, and ironing facilities. Start the day right with free hot breakfast with a variety of healthy options. Also enjoy relaxing by the tropical landscaped outdoor pool or get a workout in, at the on-site fitness center. 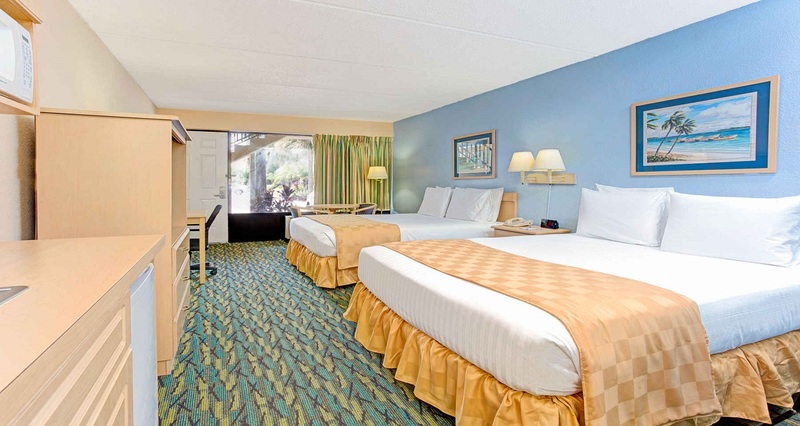 Jump right on Highway 192 from the hotel property and less than 10 miles away are the major theme park destinations including Universal Orlando Resort, Walt Disney World, SeaWorld and many other popular attractions. Head in the opposite direction toward the ocean and relax at the beaches or plan a trip to Cape Canaveral and visit the Kennedy Space Center. Finally, don't leave out a trip to the vibrant Orlando City center, where cultural venues, sport arenas, parks and abundant dining options await. These is something for the sports fan too as Orlando hosts both NBA and Major League Soccer (MLS) franchises so catch the Orlando Magic playing at the Amway Center or watch the Orlando City SC soccer match out of Camping World Stadium (both located in the city of Orlando area). Right out of the property, within in a mile in either direction on Highway 192 are plenty of familiar eateries for the casual dinner including Red Lobster, Golden Corral, Denny's, IHOP, Popeye's Louisiana Kitchen, or for some local favorites like Cicis for Italian, Pupuseria Maya or Tortilleria la Mexicana for Mexican and in downtown Kissimmee, consider Mi Castia BBQ or 3 Sister Speakeasy. 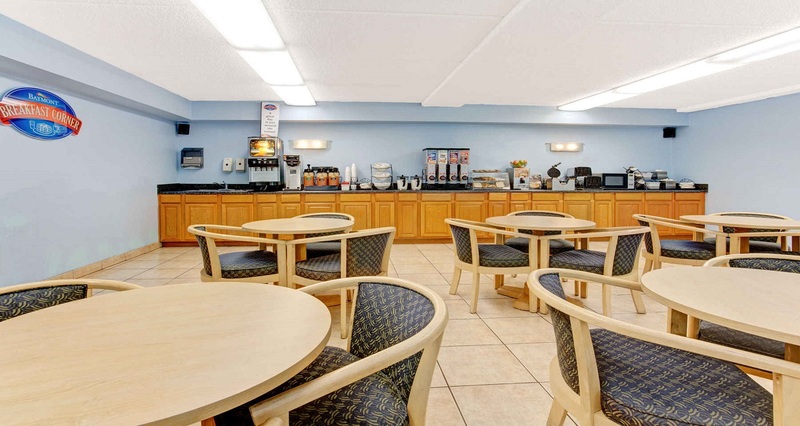 Orlando City Center also provides some interesting choices where local cuisines to sumptuous fine dining is plentiful. Begin the shopping experience in downtown Kissimmee at Lanier's Historic Downtown Marketplace featuring 18,000 sq-ft mall filled with antiques. From there head up north to "The LOOP;" an outdoor mall with fashion and specialty stores and also a Regal 16 screen theater complex. Continuing north and stop into the Florida Mall which is a snazzy, upscale, open-air shopping center with over 250 retail, dining and entertainment options. 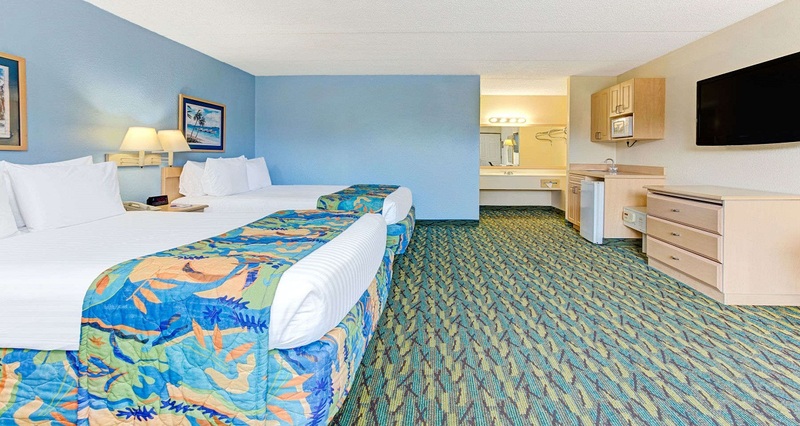 Reasonably close to the hotel but in the resort vicinity, consider either the Orlando Premium Outlet or Lake Buena Vista Factory Stores for big brand outlet shopping. 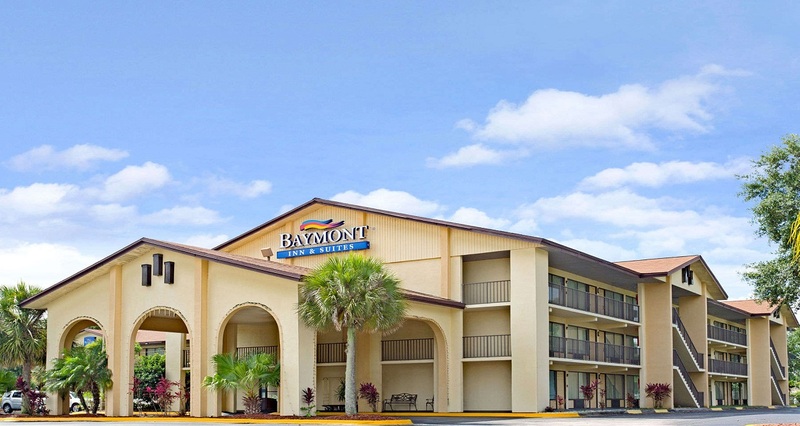 Baymont Inn in Kissimmee and the surrounding Orlando area offers an abundant array of recreation and outdoor activities. Starting with Lake Tohopekaliga referred to as "Lake Toho," the largest lake in the county, it is known for bass fishing and birdwatching. Lakefront Park is located at the north end of the lake and has a scenic walking path with benches. Visitors may view the area's wide array of waterfowl, alligators, turtles and other wildlife. Lakefront Park also has a miniature lighthouse, a children's playground area, and is bordered on its west end by Big Toho Marina. 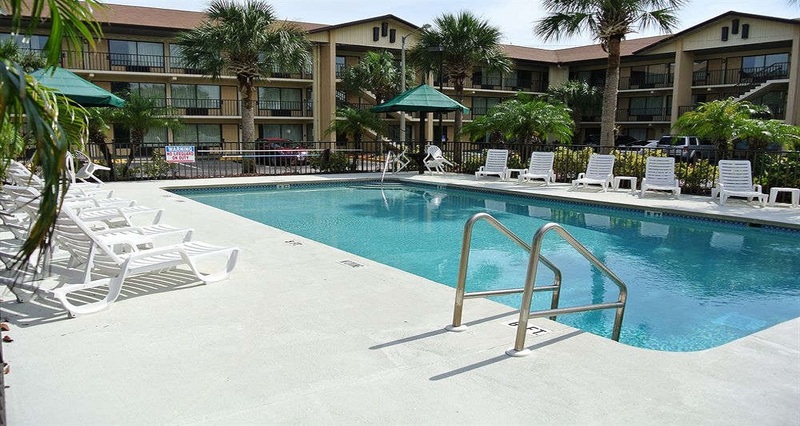 In surrounding Orlando, parks, lakes and recreational activities are offered throughout. Whether it's kayaking, paddleboard tours, horseback riding, golfing, fishing, zip lining or just pulling up a chair at an outdoor venue listening to live music, there is plenty to do to satisfy outdoor enthusiast. For the more adventurous consider, boating, jet skiing or a guided airboat tour at one of the many lakes. Before heading to the resort nightlife and entertainment spots or into Orlando City Central, peruse the venues in Kissimmee and at Lake ToHo. For starters, get the island vide with Island Mix Bar & Grill featuring Caribbean fare and live music. Other lake area favorite are the Breeze Whiskey Lounge and Hatfield's Bar and Grill with a lively lounge. For Latin rhythm and dancing, Salsa Latina Night Club is the stop to make. There are no shortage of entertainment options at the Disney and Universal Orlando parks so consider Universal's CityWalk, dubbed Universal Orlando's entertainment hotspot which is a unique experience with many notable establishments such as Hard Rock Café and Margaretville and the Groove and Red Coconut dance clubs in the surrounding area. Head to Downtown Disney and the House of Blues is a headline attraction featuring top talent and performers that won't disappoint. 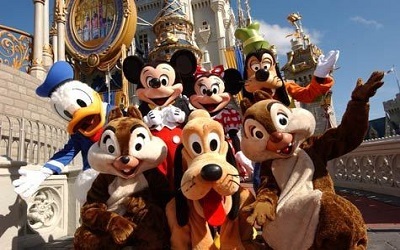 A single thought of Disney World fill the mind with excitement and thrill. The picture generated through thoughts is full of wonders, magic, surprises and never ending entertainment. The Disney World makes all these imaginations real. 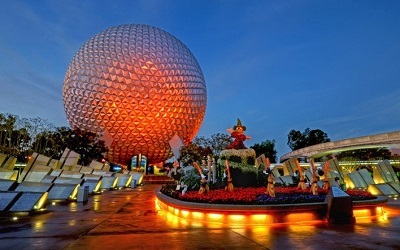 Disney World or Walt Disney World Resort is the most beloved entertainment resort of the world. People come to Florida to enjoy this amazing place. The Walt Disney World Resort is an entertainment complex in Bay Lake and Lake Buena Vista, Florida, near Orlando and Kissimmee, Florida. Opened on October 1, 1971, the resort is owned and operated by Walt Disney Parks and Resorts, a division of The Walt Disney Company. 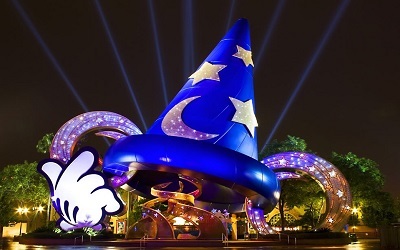 It was initially operated by Walt Disney World Company. 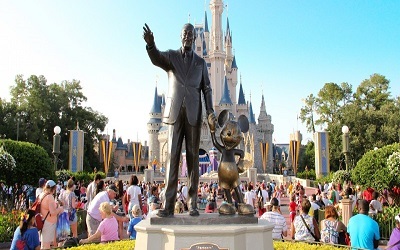 The property covers 27,258 acres, featuring four theme parks, two water parks, twenty-seven themed resort hotels, nine non–Disney hotels, several golf courses, a camping resort, and other entertainment venues, including Disney Springs. All children are welcome. Free! All children under 10 years stay free of charge when using existing beds. Any additional older children or adults are charged USD 10 per person per night when using existing beds. One older child or adult is charged USD 10 per night in an extra bed. One child under 2 years is charged USD 5 per night in a crib. The maximum number of extra beds/cribs in a room is 1. Any type of extra bed or crib is upon request and needs to be confirmed by management. Additional fees are not calculated automatically in the total cost and will have to be paid for separately during your stay. My family stayed for two nights on the weekend and found this hotel just fine. Room was clean nice tv and room was very moderate only hang up was w we had wait on exp idea to fax paperwork. We stayed for 6 nights and had a pleasent experiece. Nothing too fancy but a quite and comfortable place. The lady at the Breakfast was very nice. Was very happy with My stay ...will recommend this hotel .. This is our 3rd time at Baymont and it was nice to see that the place got a face lift with new comforters, new carpets and new coat of paint. will always com back. Nice friendly staff, convient, clean, I stay here every time Income to Florida.. 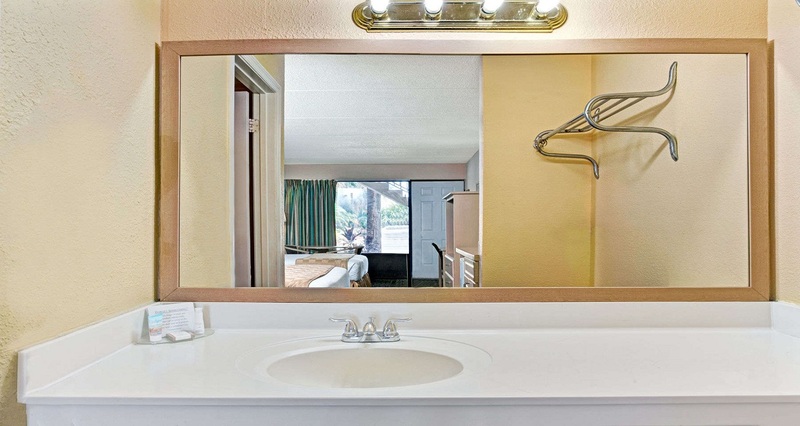 Rooms were clean and pleasant and have a small kitchenette. 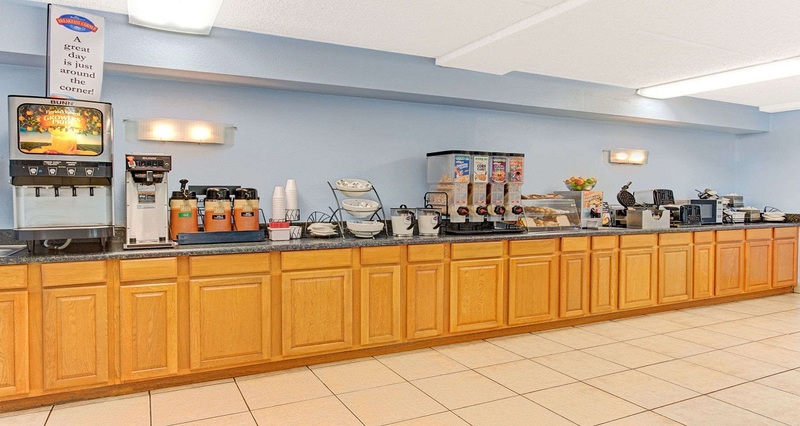 Continental breakfast is included, so we felt a good price for what you get. It has the best price/quality relation. 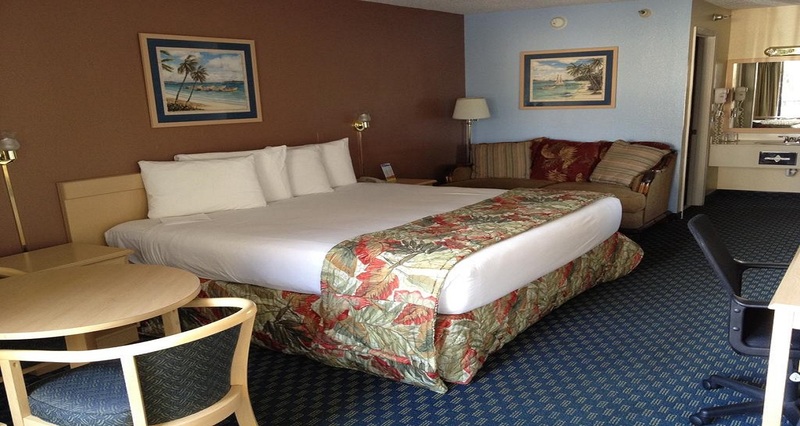 Rooms are very cleaned and have a very decent size with even a kitchenette. Breakfast was very good. Good internet.